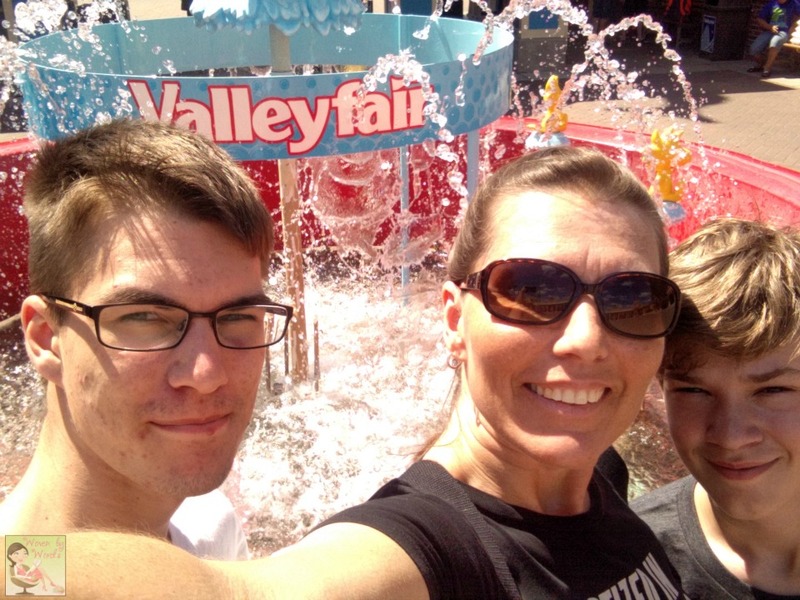 One of the things my kids look forward to every summer is Valleyfair! This summer is no different The one thing...ONE thing they asked to do was head down there at some point this summer. Our days are literally so full, I wasn't sure if we'd be able to make it there. This month, we had one day, a Sunday to get down there. When Valleyfair agreed to work with me, I knew we had to make it work! Saturday night as I was going to bed, it was raining! I looked up the weather, and all I saw online was to expect thunderstorms on Sunday. Ugh! I even woke up thinking I heard it was raining. As we headed to church, I saw that there wasn't a cloud in the sky! I was thrilled...until we came out of church and it was completely overcast. lol We went back to the house to have lunch and decide if we still wanted to go or stay home. I convinced the boys to chance it! 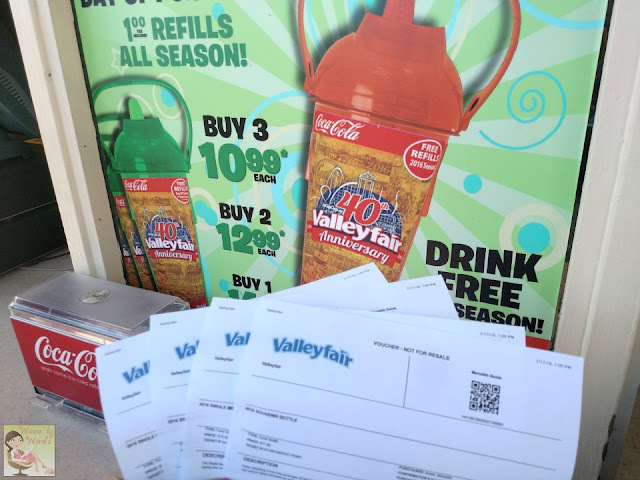 The one thing I did before we headed down was print out prepaid parking, prepaid meal, and a prepaid cup that I purchased on the Valleyfair website. We saved a few bucks doing it that way! We headed down in the early afternoon! Took us about an hour to get there, and found pretty good parking. I was shocked at how few people were at the park! I think most people thought the weather was going to bad, and decided not to go. Bummer for them, but score for us!! All Buddy wanted to do was get on the Wild Thing. That's his favorite ride. lol The youngest didn't seem to have a ride he absolutely had to do. He just wanted to ride. 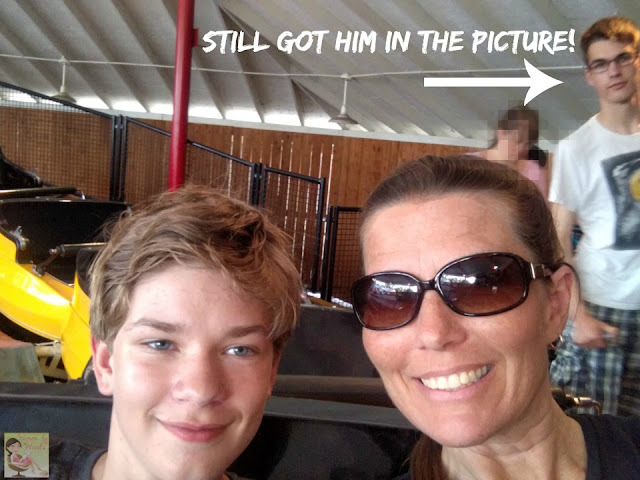 Me...I just wanted to go on the "mom" rides. hahaha Oh my gosh, I've SO become my mom. I'm the mom who just wants to walk through the park watching my kids have a great time. That gives me so much joy. 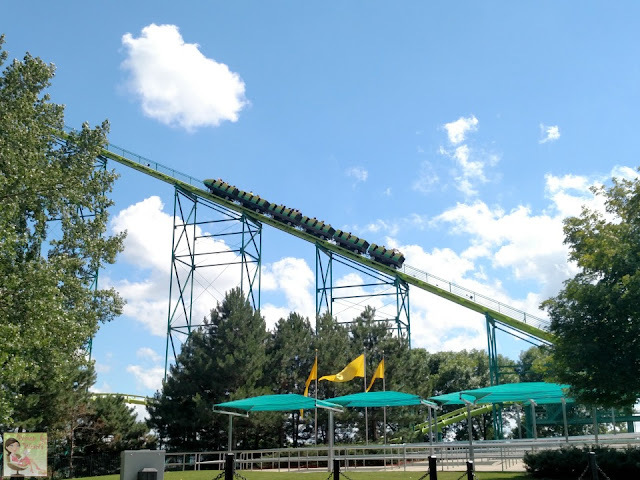 I love rides like the Monster, Scrambler, Tilter, and SuperCat. Now, I wanted to see if I could overcome my fear and ride the RipTide again. Well, I rode it. hahaha The youngest went with me, and he loved it. Not sure I'll be able to do it again on our next visit. 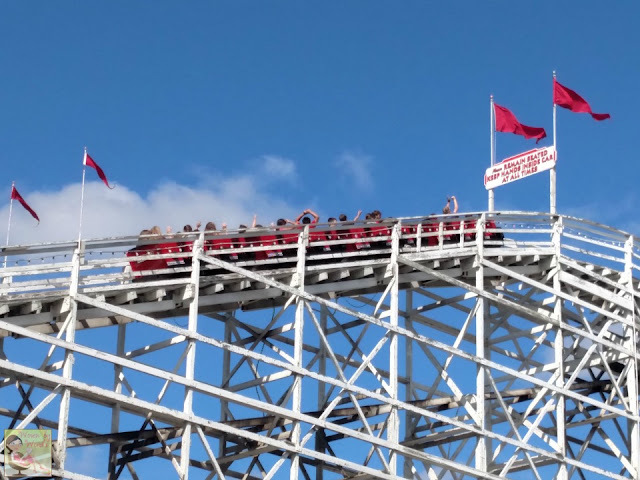 lol If you watch my Instagram video of the ride, I'm on the back side all the way to the right. Everyone else's legs are flying around with the ride, mine are pinned to the ride, and I'm holding on for dear life. HA! We spent the afternoon walking around the park going on ride after ride. It wasn't until a couple hours later that the boys ran into their first "line". I use the word "line" loosely since the line probably was 10-15 minutes. No complaining there! That was for the High Roller. 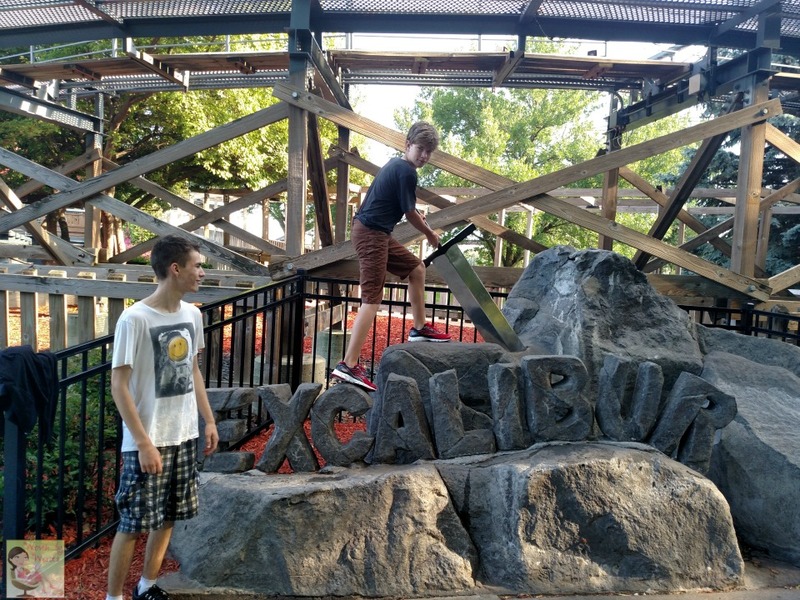 My boys were in heaven with how easy the rides were to get onto. Literally it was get off the ride, get on the ride, get off the ride, get on the ride! Dinner time came and we looked through our park map to find the Single Meal locations. We went to Planet Snoopy Grill since that's where we were. Buddy and I had cheeseburgers with fries, and the youngest had chicken strips with fries. The meals come with a drink. We had also filled up our 2016 Souvenir Bottle. If we had gotten there earlier in the day or had it been hotter, we probably would've used it constantly. Sunday was a perfect day and filled it up with one pop and one water. Let's just say, they all fought over NOT sitting with me when it came to going on the Corkscrew. heh heh heh Listen, if they're going to get me on something like a roller coaster, they have to suffer listening to me scream. Now, for some reason, the Corkscrew isn't one that scares me. Climbing, climbing, climbing, and then falling at an insane rate of speed scares the nonsense out of me. We got a lot of walking in with this park, but never got to the Soak City Waterpark. I had the boys bathing suits in my bag just in case they wanted to go get wet! It was fun watching people going down the slides! Next time I plan on going early in the morning as soon as the park opens and staying until it closes. The 4 of us definitely closed the place down. Our mosquito bites are evidence of that! I have a list of what you should absolutely bring to Valleyfair or any amusement park you might be visiting this summer. I remembered most things as I went through our day. 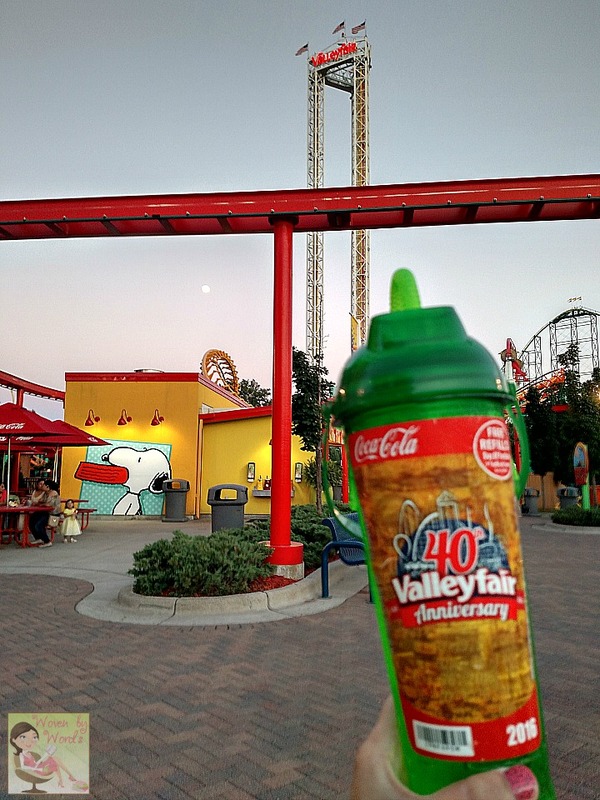 Be sure to follow Valleyfair on Facebook & Twitter to keep up with all the fun at their park! 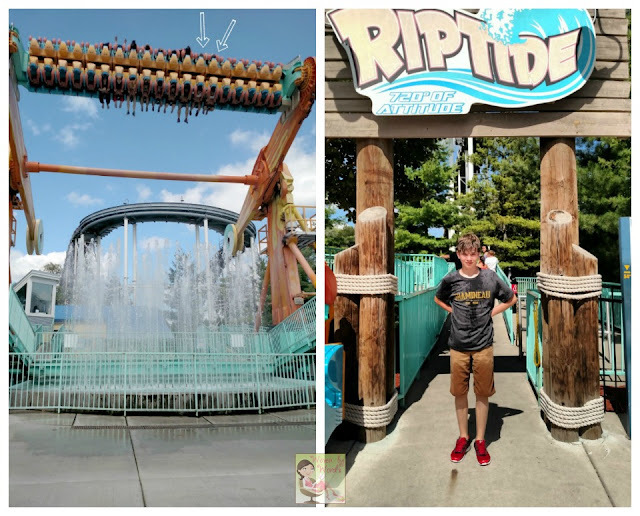 Which amusement park did you visit last? Sounds like you had such a great time. I love days like that with my kids! What an awesome place to hang out at. I would have so much fun here. Valleyfair looks like so much fun! My kids would love all of those rides. My last amusement park was at disney land. We honestly don't get to go to many fairs and with my vertigo and my youngest distaste for noisy things... it just doesn't happen too often. I love them though. Glad the weather held up for you! 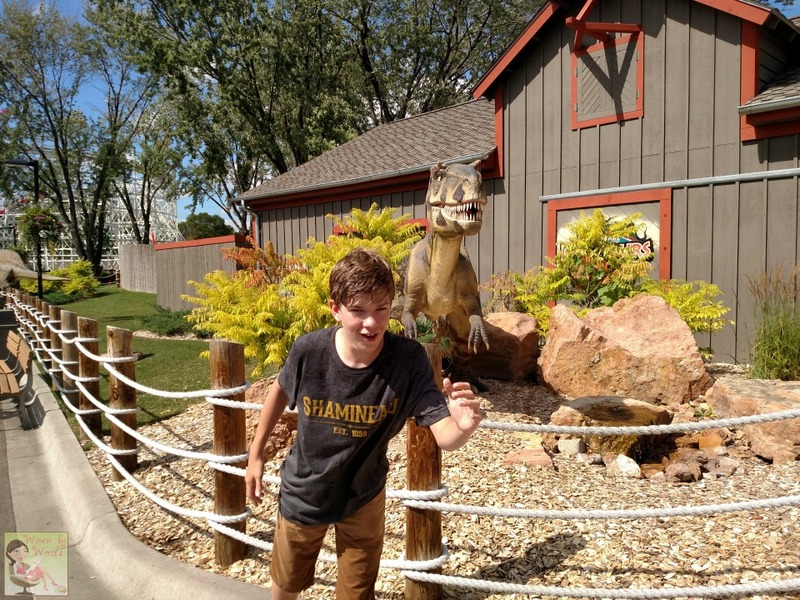 Amusement parks are so much fun. 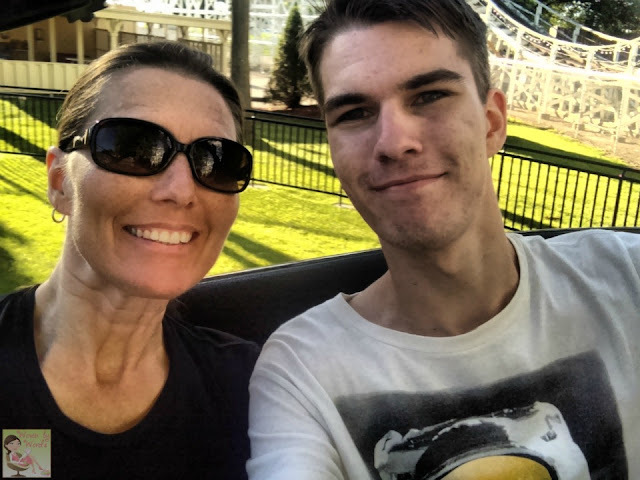 Our favorite is Dollywood in eastern Tennessee. We love to go there several times a year. It's nice to see you guys having fun! It's always so nice to be with the kids and just let go and not worry for the rest of the day. I love the list of essentials that you have here, I always make sure I bring extra clothes. This looks like a fun place to visit. We love amusement parks. and thank you for that reminder list of things we always forget. My last amusement park that i visited was WDW. 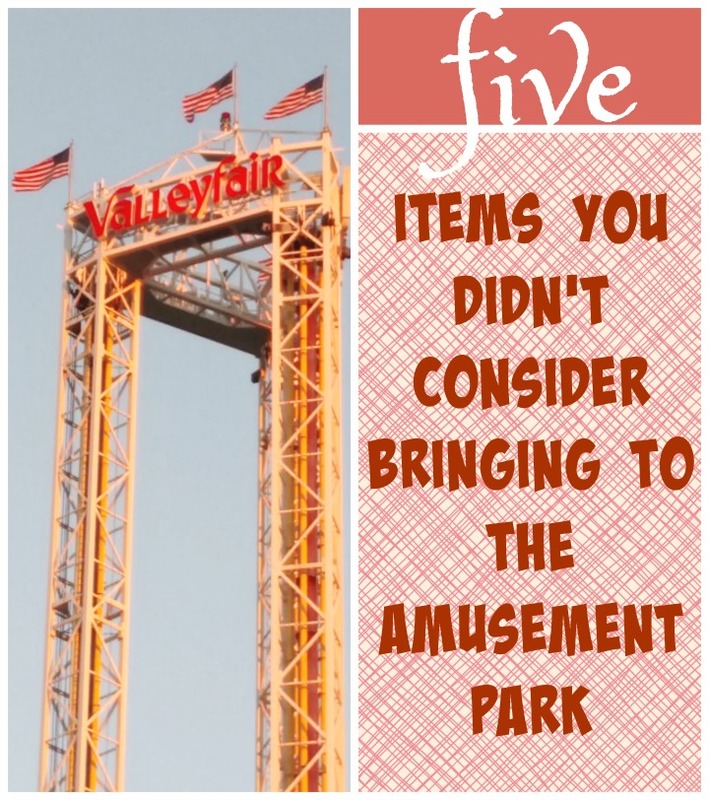 BUT I used to go to Valley Fair all the time as a kid! This looks like such a fun place to be. 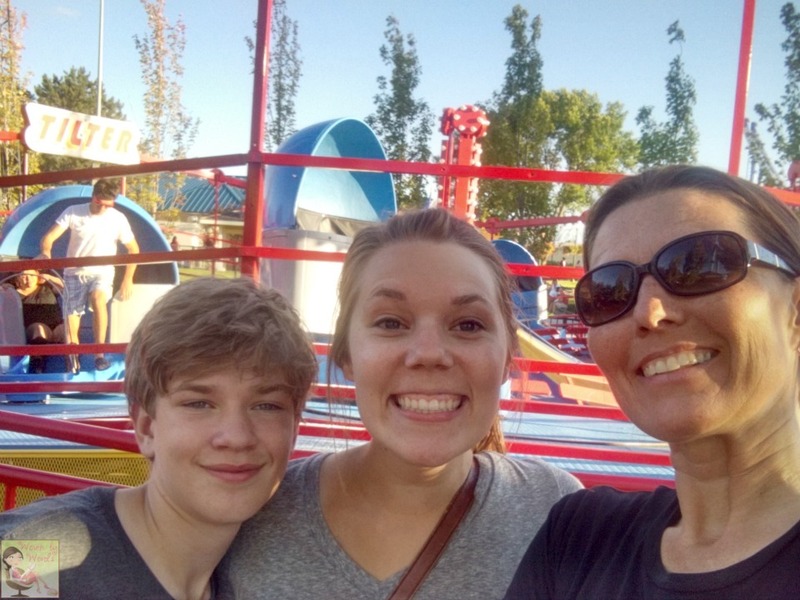 We haven't been to a fair since July of last year. Once my son gets a little older these will be awesome places for family time. Ooooo this place looks like loads of fun! 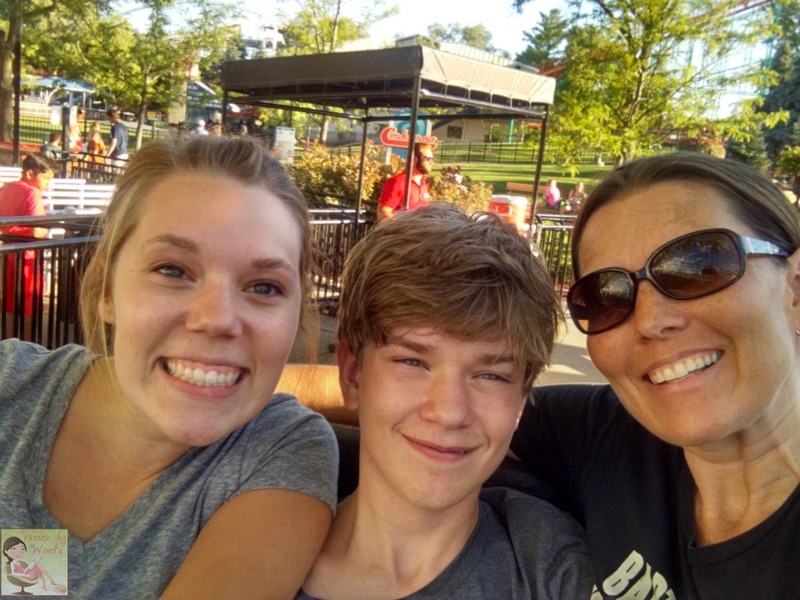 Amusement parks are always a blast. Fun for everyone no matter how old you are. 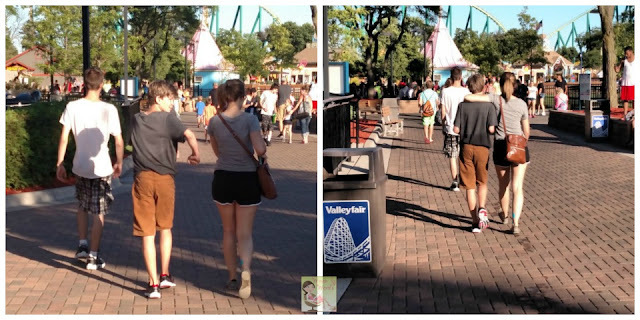 The last amusement park that I visited was Hershey Park. 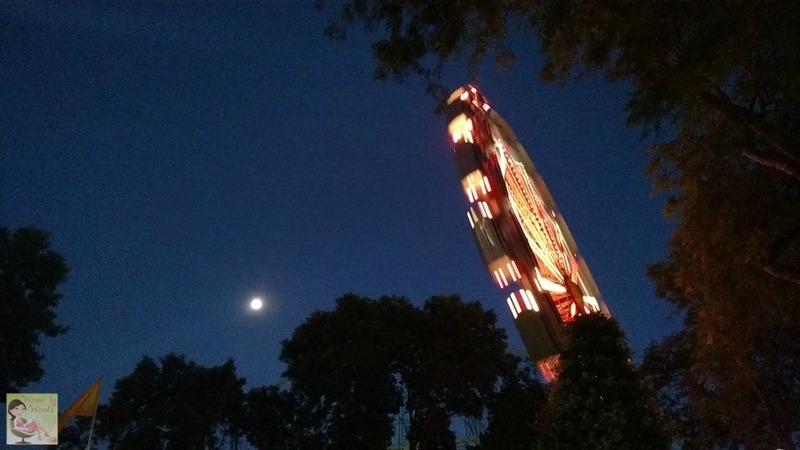 I had a wonderful time there and it reminded me of all the fun I had on the rides when I was a kid.